This is an article about a specific Elder Scroll. For information on Elder Scrolls in general, see Lore:Elder Scrolls. 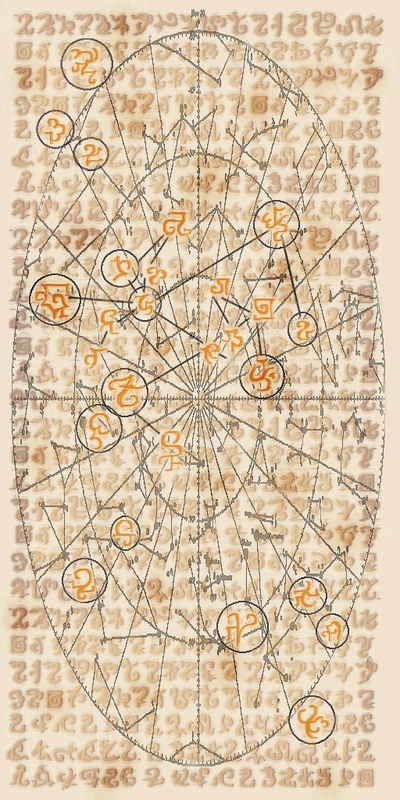 The background art of the Elder Scroll is a star map of the southern polar region, containing within it most of the southern constellations. The more famous ones are Scorpius (tail part found at the left-hand side), Crux (found at the lower center of the Scroll), and Eridanus (found at the top left-hand side, with Achernar as the large patch). This page was last modified on 15 April 2018, at 19:09.